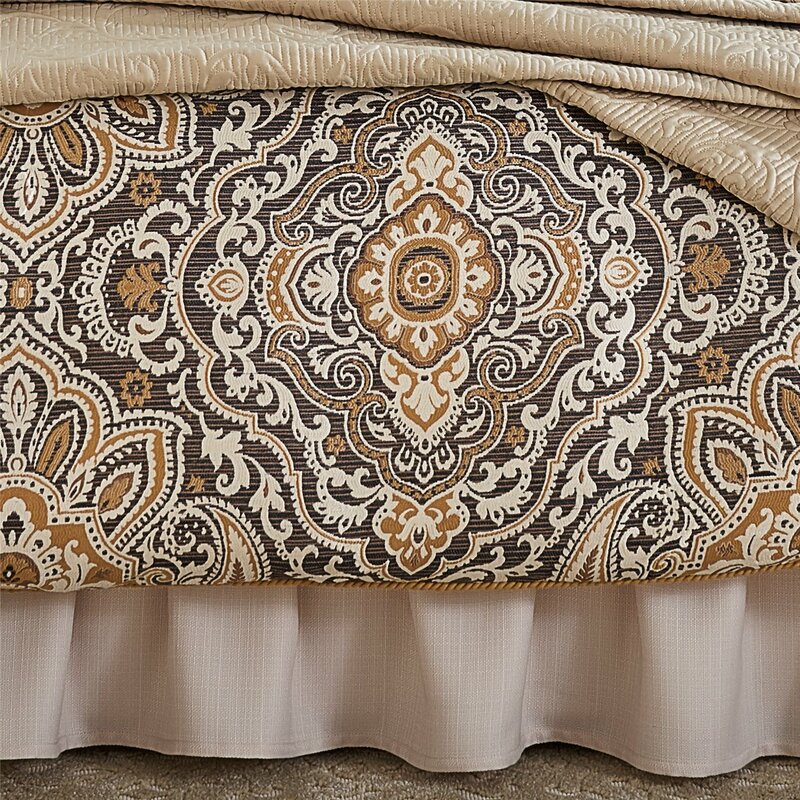 The Philomena Bedding Collection conveys an elegant look with its shades of gold, charcoal and ivory. 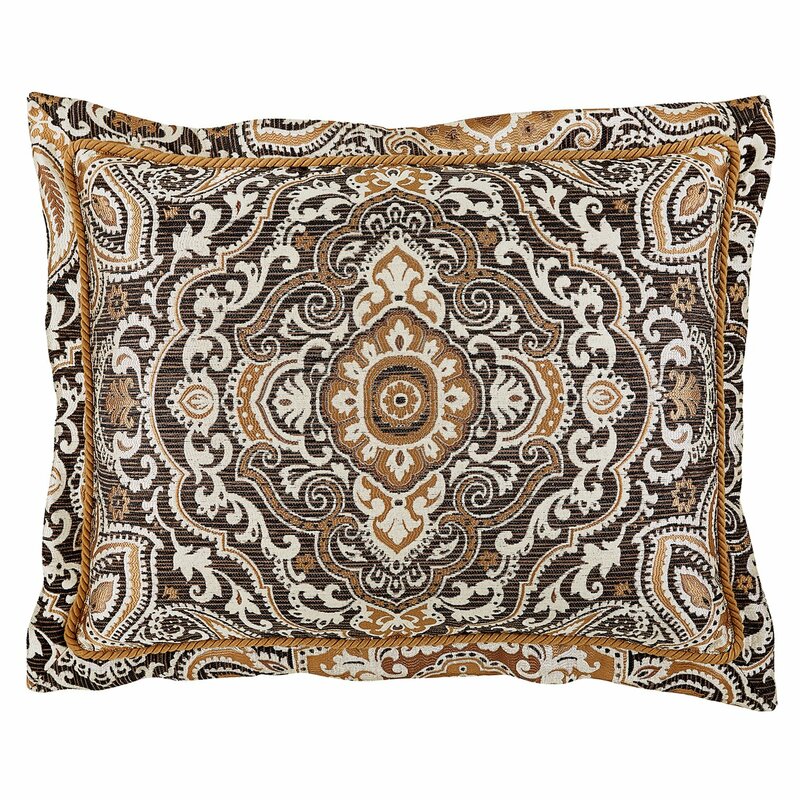 The comforter and pillow shams feature a jacquard medallion on a chenille ground trimmed with a gold twist cord. 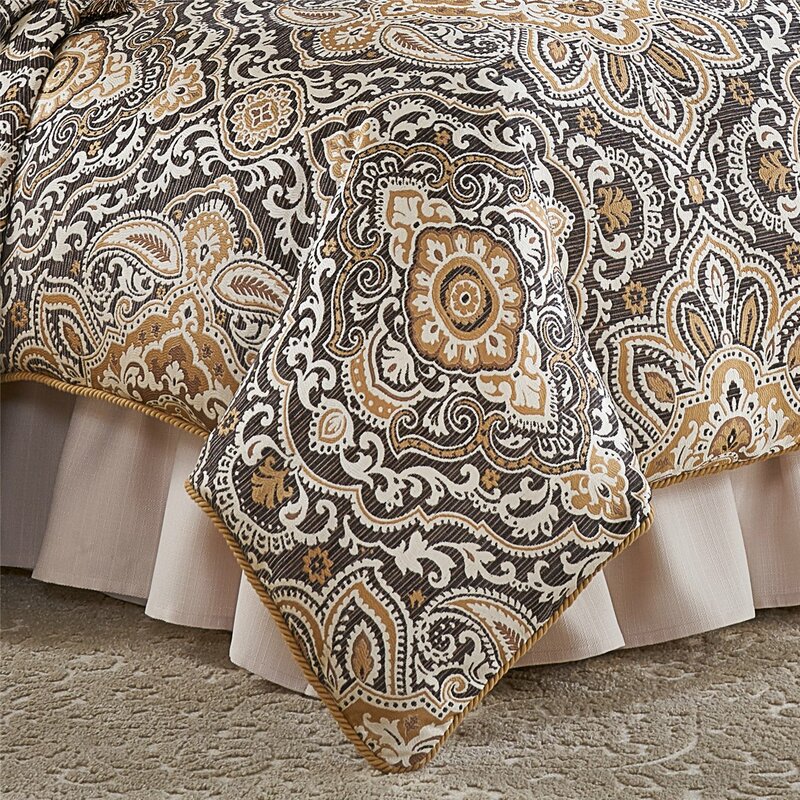 The shams are accentuated by flanges in the jacquard medallion. The ivory textured Bedskirt is ruffled for added dimension and is the perfect finishing touch to this striking bedding collection. One (1) King Comforter, Two (2) King Pillow Shams, One (1) Bedskirt 15in drop, Comforter measures 110x96, polyester fabric and poly fiber fill, dry clean recommended, imported. Manufactured by Croscill.